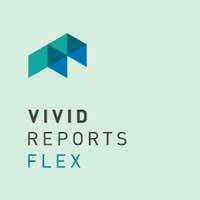 Vivid Reports Flex is built on the Microsoft technology stack. As a Microsoft Gold Certified ISV, all of the application code is written in Microsoft .Net. The compatible Flex client (front-end) is deployed as a Microsoft Excel Add-In and installs within a minute, being a perfect Excel reporting solution. Nothing else needs to be installed. Our technology is professionally designed, developed and tested by our team of expert software engineers. Product direction, including new features and functionality, is primarily driven by the feedback we receive from our extensive user base. We also rely on our in-house accountants and business experts, as well as our partners. We constantly research new technologies, new releases of ERP and upgrades to the various platforms we utilize (Excel, SQL Server, Windows) to keep ahead of the curve. We are also continuously researching our software solutions to enable improvements and to provide a better overall user experience. We have extensive experience with numerous ERPs and the various environments, technologies and platforms on which they’re based. We can integrate the Vivid Reports Flex reporting system with any ERP or ODBC-compliant data source. To date we have integrated with over 50 ERP systems including systems that are based on Microsoft, IBM, Oracle and SAP. Flex is compatible with Microsoft Excel 2007, 2010, 2013, 2016 (including 32 and 64 bit versions), works directly with Microsoft SQL Server or any other ODBC-compliant database and is fully compatible & integrated with Vivid Reports CPM software.